Give us a call for all your Turbo Repairs, Turbo Rebuilds, Turbo Reconditioning and Turbo Servicing. 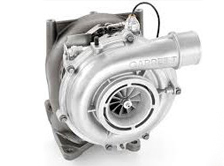 Turbos come in many shapes and sizes, at Telford Turbos we can give your Turbo a new lease of life. 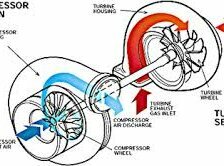 Picture above shows how a turbo works. 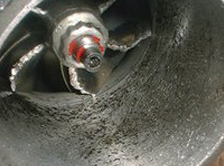 Above you can see damage to the Turbo blades which will make it noisy and unbalanced and will cause loss of power. 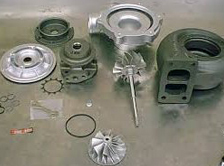 Above shows how many parts are involved in the assembly of a Turbo. We are ISO 9001 2015 Accredited.